New 19″ Rackmount Multiswitch for Heavy-Duty Operation in Headends. Made in Germany. 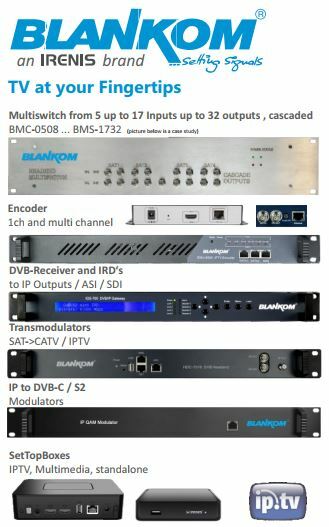 IP Encoder & Streamers for IPTV-on-LAN, Video-over-IP and OTT applications. DVB/IP Gateway, IPTV Encoder & Multiplexer, Server for IP distribution over LAN & Internet. All-in-One SMATV Headends, DVB Modulators, Multiplexers, DVB & IPTV Hybrid CATV/SMATV Headends. Receiver units for IPTV reception through LAN & Internet. IPTV Set-Top Box, IPTV and DVB Hybrid Set-Top Box. 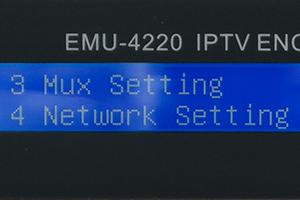 Test & measuring equipment, monitoring solutions for IPTV networks. Enterprise IPTV systems on LAN & WAN, OTT applications for small/medium Web-TV operators, Video-over-IP equipment. Professional IRD with DVB-S/S2 and IPTV input. 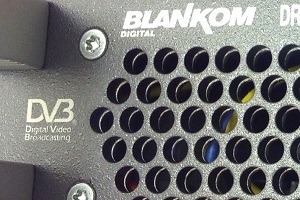 HD-SD/SDI, 4x ASI, YPbPr, HDMI, CVBS Video output. 32x SPTS and 1x MPTS GigE IP Output. LCD monitor on front panel. At an unbeatable price! 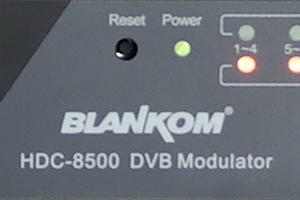 Full compatibility between all BLANKOM models. Designed, engineered, manufactured and tested for heavy & demanding use, long life, maximum reliability. Competent technical support from Germany. 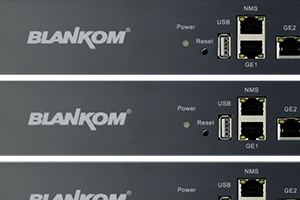 The new BLANKOM® Professional Headend Equipment product range is in development. Several items are already on sale and shipping. There is and will be a wide choice of IPTV, DVB-C and DVB-T Headend Units with state-of-the-art features. 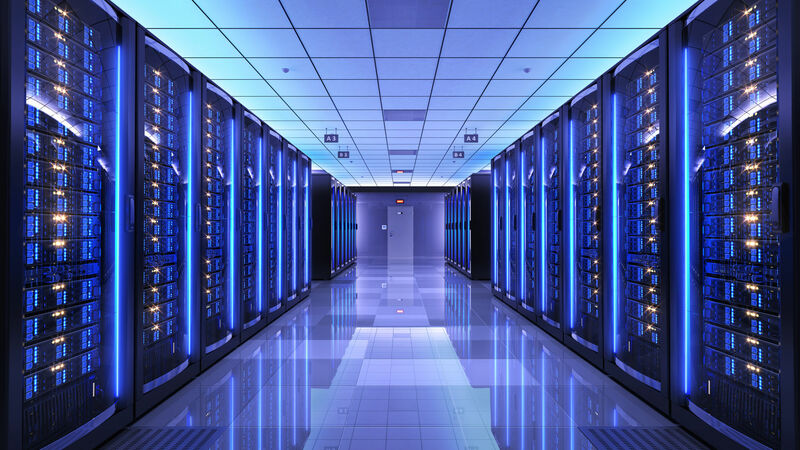 All new items are in 19″ rack format, and have web-browser control access over LAN & WAN. IRENIS is the worldwide distributor of all BLANKOM® products. Systems and all components of OTT, Web-TV, IPTV, Video-over-IP, Live-streaming applications. DVB and IPTV headend equipment. Design, engineering, implementation, consultancy of IPTV & DVB headends.